Vipul Jairath is Associate Professor of Medicine, Epidemiology and Biostatistics at Western University and his clinical practice is based at University Hospital, London Ontario. His research interests are in clinical trials, endpoint development and methodology. 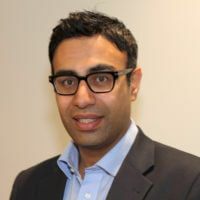 Prior to moving to Canada, he was a consultant gastroenterologist at Oxford University hospitals and a lecturer at Oxford University, with career funding from the National Institute for Health Research. He is a principal or co-investigator for several randomized trials.